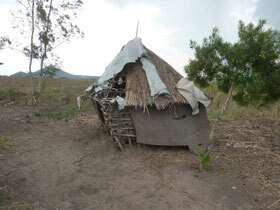 David spent three weeks undertaking voluntary humanitarian work for the RICS in a very remote part of Western Kenya. 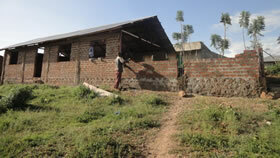 He was part of a team of four and his commission was to advise on secure shelters and sanitation in an area which suffers from regular flooding. 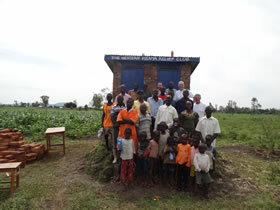 This involved carrying out detailed inspections of mud huts and toilet facilities and advising on more robust construction methods. 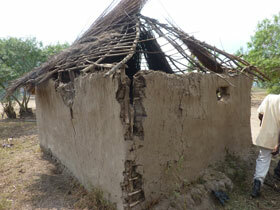 This work was undertaken for BuildAction, the humanitarian arm of the Royal Institution of Chartered Surveyors. 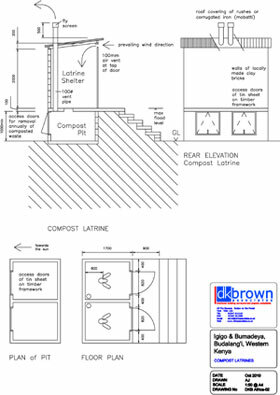 Below are drawings of proposed huts and compost latrines produced by David designed to make use of locally available materials with the view to making the buildings more robust to withstand the effects of flooding . 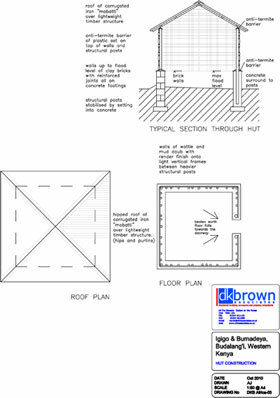 Click on the images to see a full-sized PDF of the plans. 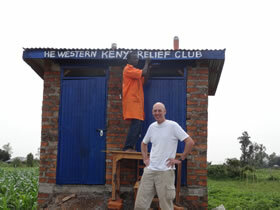 In 2014 David visited a remote part of Western Kenya with a small team from the UK and constructed two latrines (toilets) for a primary school in a very poor area where it frequently floods.